Review: Thondimuthalum Driksakshiyum, A Sheer Piece Of Cinema! Thondimuthalum Driksakshiyum is one of the most anticipated films of the year. 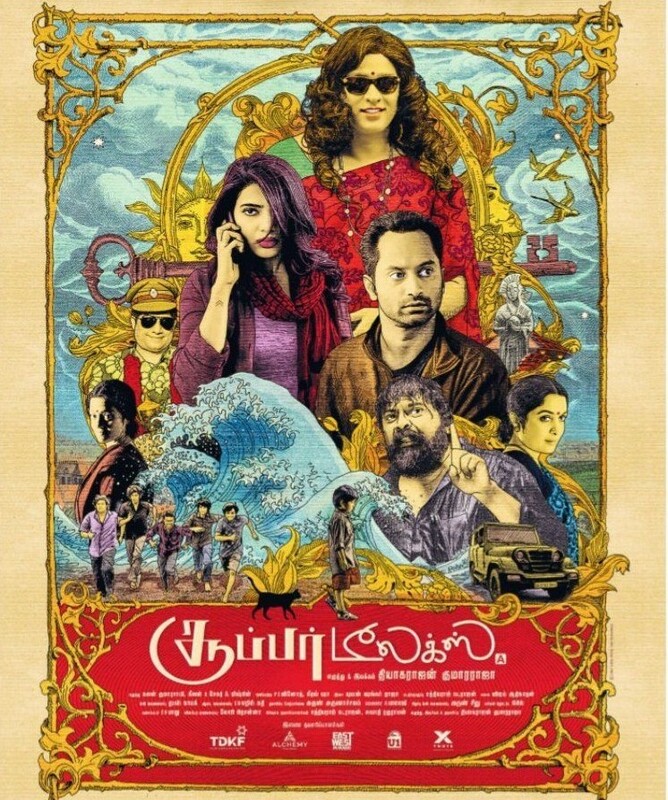 The reason behind it is last year’s surprise winner Maheshinte Prathikaram, the director, the lead actor and some of the crew members are same in both the films. But Dileesh Pothan brilliantly doesn’t let us compare both the films, they are entirely different from each other. Thondimuthalum Driksakshiyum is based on a very lively incident, it is treated with more realism (almost the entire film feels like we are witnessing it in first person). Also such raw narrative may seem new or unseen for a large part of the audience. If you start enjoying the film right from the beginning, then you would give it a standing ovation at the end, in the other hand, if you are not captured in the first 15 minutes, you may not be able to indulge yourself in the rest of the film. There are no mid-ways for Thondimuthalum Drikskshiyum. The story revolves around Prasad and Sreeja, a newly wed couple who have recently moved to Kasaragod. A third person’s intrusion causes them trouble and the rest of the story goes after the solution for it. It is not possible to reveal more of the plot. The basement to the movie is simple but whatever is built on it is really strong. When Sajeev Pazhoor’s screenplay and dialogues contain a lot of subtext to it for the audience to think on, Dileesh Pothan stages it in the most natural way possible. Rajeev Ravi’s cinematography is excellent, the frames mirror each character’s motive. There were many single shots and the close ups are used rarely to pull the complete focus on any one character. The editing by Kiran Das was also very good, the movie flowed smooth. Music and Background score by Bijibal is fantastic, the situations and the music go hand-in-hand, they never seem like two different elements. The collaboration of all the above said talented people, also Shyam Pushkaran, is evidently seen in the final output. The filmmaking is of international quality (when I say international, I mean it), Dileesh Pothan makes no compromise in the making. The film deserves multiple viewing for detail character analysis. If the director agrees with the term or not, Pothettan’s Brilliance is proved once again. Coming to the performances, none really seemed like acting. All actors behaved like they have been living as these characters for all their lives. Suraj Venjaramood displays very subtle acting and has surely given his best. New face Nimisha Sajayan was better than expected, even very experienced actresses can’t be so natural. This girl has the potential to surprise us even in the future. The actor who played the Sub Inspector was another new comer who surprised, never felt like the man was acting. Alencier breaks the image of Baby chettan (his role from Maheshinte Prathikaram) and delivers a versatile performance. The actor shines as he displays various emotions from time-to-time. All the other debutants were also very good at what they did. Now, Fahadh Faasil, I won’t be surprised if the actor wins an Oscar for this flick! His body language, his reactions and the nuances he gives to them, there is nothing more to say about his performance but unimaginable! As they say, the basic emotions like love, jealousy, greed etc. are common all over the globe and so is hunger and human’s struggle for survival, the movie also have the same things as it’s core. The characters are relatable and justified, the circumstances they confront are not alien to the majority of us. But the speciality is, we seldom see such raw story telling on screen. This film is one of it’s kind in Indian cinema. It has a rooted screenplay and a strong technical side, no wonder if this film represents Malayalam cinema on greater platforms. Thondimuthalum Driksakshiyum is going to one of the most discussed and analysed Malayalam movie in the history. It is more than just entertainment, it’s a sheer piece of Cinema!